I still had half of a spaghetti squash leftover from my post the other day and decided I should make a tasty side dish. I went with butter and toasted garlic. We really enjoyed it; the squash still had plenty of body to it and the garlic added a delicious touch. 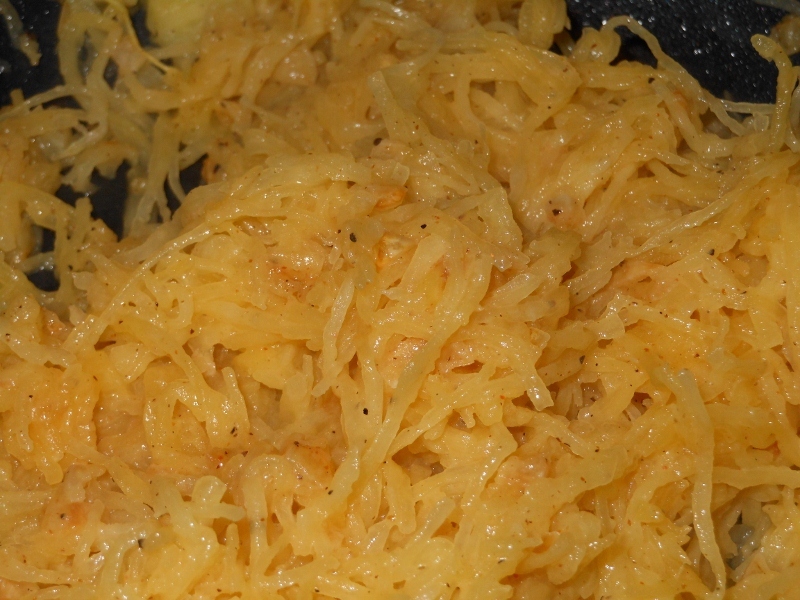 Very quick and easy to make; of course you will need the par-baked squash to get started. 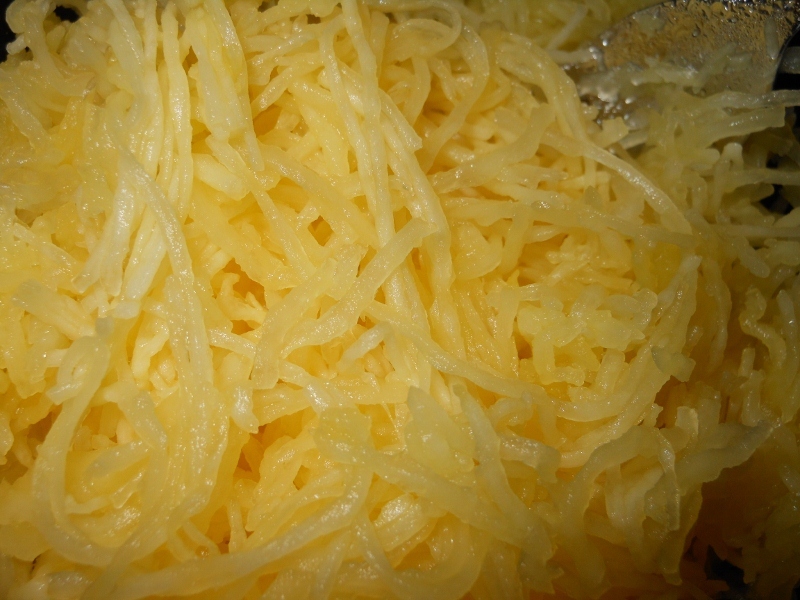 Prep spaghetti squash. 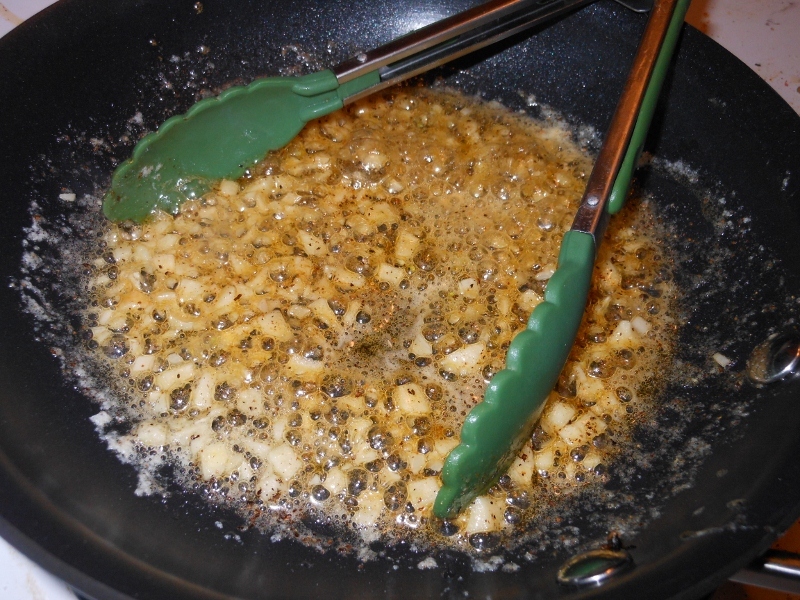 In medium skillet melt 1 Tbs butter; add garlic, salt, pepper, and cayenne. Simmer for about 2 minutes until garlic is toasted. Add squash and remaining butter and toss together. Heat another minute until hot.